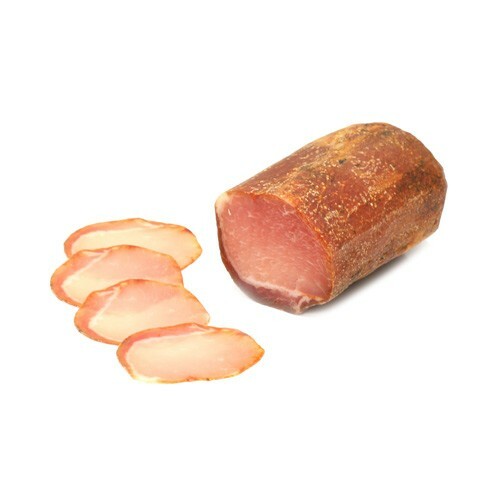 This Spanish cured meat is made from the tenderloin of the pig, flavored with garlic, paprika, and other spices, and air-dried. A traditional ingredient to Spanish tapas and often served with Manchego cheese, Lomo is a wonderful ingredient to sandwiches. It is a very lean meat with a full and robust flavor.